Alternative Health Atlanta (AHA), located in Marietta Georgia, was founded as a holistic practice in 1996. In 2000 the clinic moved to its current location on Powers Ferry Road. Our founder, Dr. Melodie Billiot, knew she was going to be a doctor at the age of three. She changed her medical school plans when she was 19 years old when her family chiropractor opened her eyes to the simple concept of the body healing itself. She graduated with a doctorate in chiropractic from Life University as valedictorian of her class in 1993 and had purchased her first practice within the year. Co-founder, Norman Lowrey, started his first business at the age of 26. He created a specialty retail store that dominated a three-state area by the time he sold the business 8 years later. He then became a partner in a marketing business that served chiropractors, dentists and optometrists. Later, he spent several years as a consultant reorganizing over 20 businesses, from heavy manufacturers to software companies. Norman is an experienced and accomplished organizational expert. When he met Dr. Billiot a perfect partnership developed, creating Alternative Health Atlanta. The first three years of the research that created the clinic were a blur of seeing patients, researching, flying all over the country to meet with other practitioners, seminars, researching, and (always!) seeing patients. At the end of this time we’d learned two facts: 1) We could help patients get well from most of the chronic health problems we were presented with, and 2) accomplishing this required very exact actions and standards and a lot of organization. Somewhere in those first years we started to dream: If it was possible for people to recover their health to the dramatic extent we witnessed every day in the clinic using only natural, non-invasive techniques—why couldn’t the general public be educated about this? Why couldn’t sufficient clinics be brought into existence everywhere to help these people with stubborn health problems? The more we observed the state of chronic illness that passes as “normal health” in the general population and the more we read about pharmaceutical atrocities, bizarre surgeries and destructive treatments that pass as “health care,” the more we dreamed. We realized that if we were to help holistic clinics expand dramatically that we would have to make our treatment and organization systems complete and polished. This project has taken us over a decade to complete; encompassing over 30,000 lines of computer code, hours of custom video and audio, and thousands of pages of job instructions, checklists, books and training materials. The word went out of use in the early 1900’s, something that in itself raises questions. EVECTICSSM is not a treatment technique; it’s a system that integrates many techniques. An EVECTICSSM clinic brings multiple vectors of care together in exactly the correct combination for each patient, providing enough support so their body is able to get over the barriers and recover its healing process. There is a lot to EVECTICSSM! It includes educational systems, administrative systems, training systems and lots more. This is crucial, because to handle the large number of patients that need it requires a lot more than just the fact that “it works!” It will require standardization and scalability far beyond any previous natural technique. 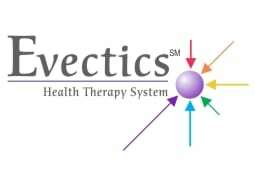 Our purpose is to make EVECTICSSM treatment an option for anyone with a chronic health condition. We just refuse to agree that chronically ill people have to have a poor quality of life, not achieve their purposes and goals and spend a lot of their lives in pain and despair. If you are interested in helping or getting involved with this project, contact us for more information. We have discovered that the more we learn and the more experience we gain, the more additional areas we find to research and learn in. We expect our continued research to yield additional benefits in the future as we never stop striving to help our patients recover their own health faster and more completely.